Guiyang is the capital of Guizhou Province in southern central China. It is on the mountainous Yunnan-Guizhou Plateau, with an altitude of 1,100 meters. Guiyang is likely to be the first stop of your Guizhou tour, where you can enjoy its pleasant climate, visit some historical buildings, glance at the big data centers, and taste local snacks. You may not stay for very long in the city, but it will leave a deep impression on you. 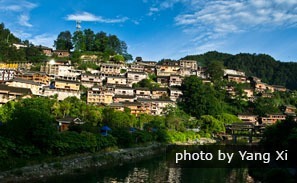 Discover what’s in the city and start your Guizhou tour here. An unlikely claim for Guiyang, since it has spent recent decades as the capital of China&apos;s poorest province, is that it has excelled on the economic front. But this is actually true. From 2007 to 2017, Guiyang’s GDP rose from 12 billion dollars to 50 billion dollars. In 2018, economic growth in Guiyang ranked the highest of all Chinese provincial cities. What&apos;s going on? The Milken Institute believes ‘the city has benefited from the central government&apos;s effort to bridge the gap between the coastal and inland regions. In particular, the OBOR (One Belt One Road) initiative helps Guiyang receive more investment, stimulating growth’. Guiyang is a transportation hub in Southwest China and the central city of Guizhou Province. Not being particularly famous in the world, many travelers consider it to be just a transfer stop before visiting other attractions. However, Guiyang City is a place worth stopping in to spend some leisure time. Now, let’s find out what you can do in Guiyang. 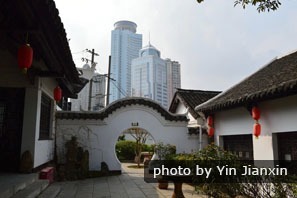 Guiyang is a combination of ancient and modern attractions, where you can visit historical buildings in the morning and then the big data centers in the afternoon, or relax in some local parks and gardens. The whole province is undergoing a time of transition. Come here to experience the changes. Cuiwei Garden is comprised of a large-scale group of ancient buildings, and was founded around 1488–1505. Here, you can marvel at the integration of Buddhist temples and garden sceneries. Further south again is the fantastic Qingyan Ancient Town, which was founded in 1378. It&apos;s full of wonderful ancient architecture, which itself is a repository of Chinese history and culture. Fancy a cup of rose-candy tea? If you are looking for some changes, you can take a look at the big data center located in Gui’an New District, where many global enterprises, such as Apple, Google, and Microsoft, have set up their big data systems. You can also visit Jiaxiu Pavilion, a British villa built in 1948, and more. 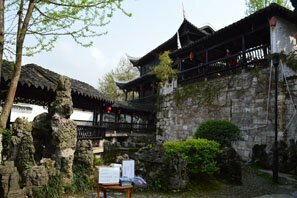 Guiyang and its environs are well worth a visit. 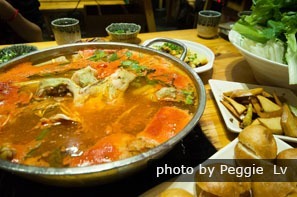 If you like spicy food, Guiyang is paradise. Walking along the streets, you can find restaurants selling all kinds of spicy and sour food. Would you like to try some popular dishes? Changwang noodles: This is the most famous dish in Guiyang. It contains spicy oil and changwang, which means pork intestines and coagulated pig blood. If you don’t mind the ingredients, you are recommended to have a taste. 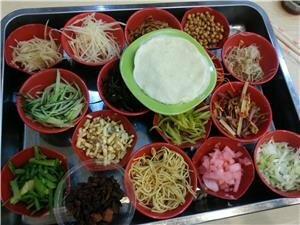 Siwawa: This is a traditional Guiyang snack, which is easily prepared. Use wrappings made from flour to wrap several kinds of vegetable shreds, dip them into chili sauce, and then eat them. Glutinous rice: By Guiyang’s roadsides, you’ll find restaurants or vendors serving all kinds of glutinous rice with different flavors. Sweet, salty, sour, or spicy — you may choose whichever flavor you like. If you don’t like strong-flavored food, there are also Western restaurants, bakeries, and cafés in the city. After night falls, it is time to see another side to Guiyang. You can enjoy feasts at lively food stalls or in the snack streets, have a drink in a bar, or enjoy a cup of coffee in a quiet café or book store. Another great option is to enjoy the night view. When the lights illuminate the riverside, bridges, and buildings, the whole city becomes a bouquet of brightness. You can enjoy a slow walk along the riverside and streets, or take photos of the scenery with your camera. Find things to do at night. As the capital of Guizhou Province, Guiyang is a natural base from which to launch exploratory trips to minority areas and some natural attractions. 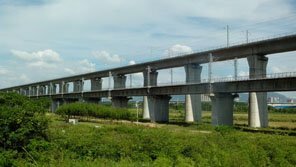 There are now bullet and high-speed trains as well as express highways linking Guiyang with other cities in Guizhou. Kaili is the cultural hub of ethnic minority groups, making it a major destination for those wanting to visit some minority villages and to experience folk cultures. You can visit villages where women wear short skirts, where men use sickles to shave their hair, and where people use the most original craft to make paper. You can also hike between two villages or learn folk handicrafts from a master. If you are looking for chances to discover some natural wonders, Huangguoshu Waterfall in Anshun and Fanjing Mountain in Tongren are great choices. Guiyang used to be an isolated place but things have dramatically changed in this century. 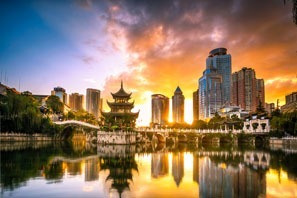 Air: Guiyang now has an international airport connecting overseas cities, such as Seoul, Osaka, and Bangkok, and major Chinese cities, such as Beijing, Shanghai, and Hong Kong. 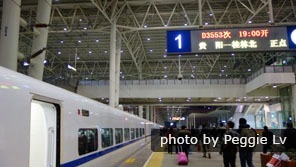 Railway: Guiyang is connected by high-speed railways in all directions, leading to important cities (such as Chongqing, Chengdu, Kunming, and Guilin) and nearby destinations (such as Kaili, Anshun, and Tongren), and even some towns. Express highway: Guiyang has express highways stretching in all directions, connecting all the famous scenic areas, ancient towns, and minority villages. Traveling on the highways, it only takes 2 or 3 hours to travel from one scenic area to another. City transport: Buses are more convenient in the city since the new loop line was constructed, and there will be more urban rail links in the future. Another option is to enjoy a private tour with a travel service, like China Highlights. The pleasant weather in Guiyang makes it suitable for visiting all year round, and the best seasons are summer and autumn. The weather is most suitable for traveling at those times, and you can carry less baggage due to the warmer temperatures. The peak seasons are the May Day holiday (the first week of May), the National Day holiday (the first week of October), and the summer holidays (July and August). 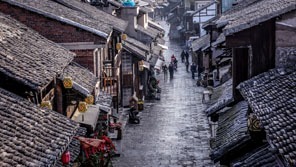 If you visit Guiyang during peak seasons, you are recommended to confirm your tour as early as possible and be ready for the tide of travelers. Your China Highlights guide will try his/her best to keep you away from the crowds. Guiyang has lots of rainfall all year round so take an umbrella with you no matter when you visit. The city also has a cooler climate than other places in China so take long-sleeved clothes, even in summer, and some thicker jackets in winter. If you didn’t pack enough warm clothes, you can buy some suitable and affordable ones in the local supermarkets. Guiyang is about 1,000 meters above sea level. Generally, people don’t suffer from altitude sickness at this altitude. 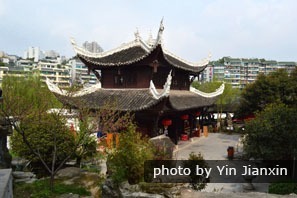 Guiyang has many places with similar names, such as Caijia Jie and Caijia Guan. If you are going to take a taxi or bus by yourself, you should confirm your destination carefully. It is highly recommended to let your guide take you around. Some Guiyang attractions are in hilly or mountainous regions, so wearing a pair of comfortable hiking shoes or sneakers is recommended. 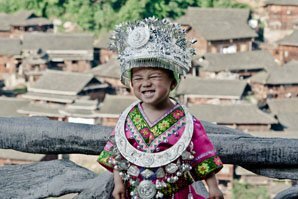 Our recommended 6-day Guiyang and Guizhou tour will lead you around Guiyang City and to visit Qingyan Ancient Town as well as some nearby minority villages. We have more Guiyang tours for new ideas, and all itineraries can be customized according to your requirements and interests. Alternatively, we can create your own tour.